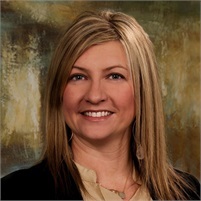 Kim is committed to helping individual investors address their financial needs and objectives. She begins by spending time educating her clients to understand the current market and develop a plan tailored specifically to their risk tolerance. Her primary task is seeking strong investment returns through asset allocation and diversification. Kim brings more than 17 years of experience in the financial industry to her role as a Financial Advisor. Kim received her Bachelor of Arts degree in Economics from Murray State University in Murray, KY. As a trusted, licensed financial advisor, Kim has gained the recommendation of Dave Ramsey, one of the nation's leading experts in financial responsibility. She holds FINRA Series 7 and 66 securities licenses and has been the local provider for Ramsey since 2013. A native of South Fulton, TN, Kim now calls Jackson home. She is a member of Englewood Baptist Church. Her interests include spending time with family and friends, reading, traveling, and boating on KY Lake. Kim has been married to her husband, Brian, for 18 years and they have two boys, Christian and Ben.